This PFD for keys may not save your life, but it sure can save your day! An inflatable PFD for your keys! 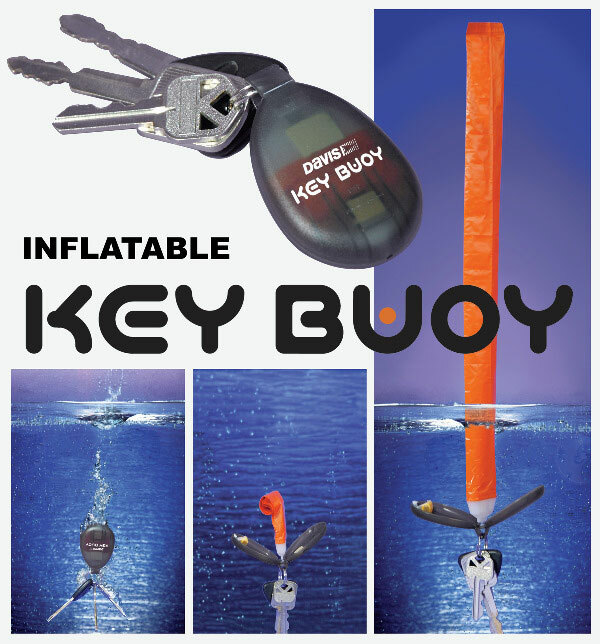 When keys fall in the water, the Key Buoy self-inflating key ring pops a bright orange marker tube. The 14" inflated tube extends above the water for easy pick-up. Will float items up to 2.8oz. such as keys, small tools, deck plate keys. Single use only—buy two!